I was always more of a Blur fan than an Oasis one, though I did like them both. I think I enjoyed not knowing what I was going to get, which is what drew me to Blur. You always knew what you were going to get from Oasis. But despite all the experimentation and eclecticism of Blur's later albums, my favourite by far was what can only be described as proto-Britpop. The back story (for those of you interested): having hit big with their debut album, Blur were the talk of the British music media still trying to rake as much as they could out of 'Baggy'. Blur, however, thought their darker, moodier b-sides were better than their hits and much of the stuff on 'Leisure'. So when they went back into the studio to work on a follow-up, it was to make something more satisfying, more deep. The resulting record horrified the label to the extent that they refused to release it. There were no obvious hits and the band was dispatched to record something more commercial. Two songs were deemed worthy of release, however. Popscene, a loud, brash, brass-fuelled attack on the very industry they now found themselves a part of, was put out as a single. The band loved it, the label loved it. So confident was everyone of its guaranteed success, that its follow-up, Never Clever, an absolute belter of a tune, was immediately lined-up in readiness to capitalise on the inevitable swarm of adoration that was about to gush forth on the band. That should tide things over before the album arrived. But Popscene flopped, reaching a criminally low #32 in the charts. The press slated it and turned its collective back on the band, writing them off as just another bunch of also-rans who got lucky on the back of Madchester. Never Clever was shelved. Neither were subsequently considered for the next album. There were some absolutely wonderful songs recorded for 'the-album-that-never-was'. I did once compile what I thought made a pretty decent 'Lost Album' which I may post at some point. 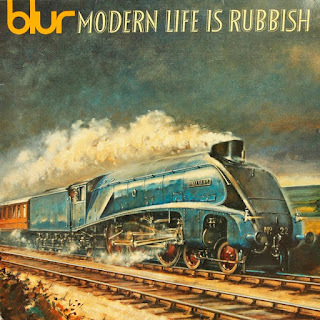 However, what we got instead turned out to be more than OK. For Tomorrow, a song written after the initial album was rejected, was the next thing we heard from Blur, and to these ears it was one of the most fantastic singles I'd heard. It was straight from the Ray Davies songbook of songs he never actually wrote. For Tomorrow was Blur's Waterloo Sunset and to this day it remains one of the best tracks of its era. Jim and Susan tread the same London paths as Terry and Julie did 25 years before them, "singing la la la-la-la..." But it's bleak and disconcerting, they're "hanging on for dear life." As the album's opener, it seemed to plough a very different furrow to that which was originally intended. Clearly Blur had written some hits. But there was that dark underbelly creeping through the whole thing. Advert comes charging out of the gates with a cheery little keyboard riff lighting the way, but Damon rails against the all-consuming marketing messages towering over him while he waits for his Tube: "I need fast relief from aches and stomach pains." And that's what 'Modern Life Is Rubbish' is all about - modern life being, basically, well, rubbish. The should've-been-a-single Star Shaped tells of an average bloke questioning his place in the world; Coping is about the feeling of losing control of one's life; and the enchanting Blue Jeans is a lazy shopping trip with your girlfriend with a hint of boredom and mundanity creeping in. But for me, there's one enormous standout that will forever be my favourite Blur song. Oily Water was the first new post-'Leisure' track to be recorded. It sounded like nothing Blur recorded before, or indeed since. It's murky and polluted, Graham's guitar rippling like filthy sludge while Damon's voice, almost lost in the depths of the mire, crackles through a megaphone. 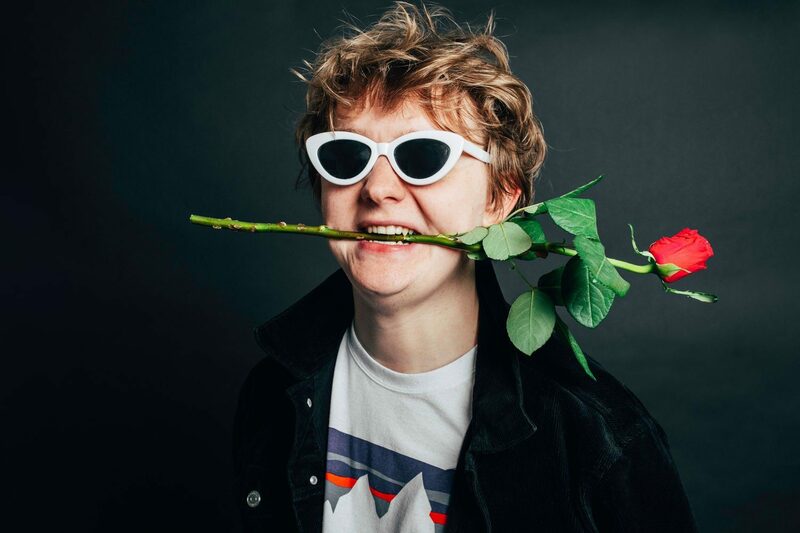 The cacophonous, abrasive roar that repeats to the song's conclusion accentuates the discomfort, not even Graham's soaring "ooohs" lighten the mood. In fact, they merely serve to heighten the tumult. Perhaps what makes Oily Water even more astonishing is that the album version is the original demo. It was never re-recorded - that first take deemed as good as it could get. A brave decision perhaps, but for me possibly the best of the band's entire career. It's not perfect, though even the best things in life are a little imperfect. Aside from the completely unnecessary instrumentals Intermission and Commercial Break, Turn It Up wouldn't be greatly missed. In fact Damon always hated it. There are numerous songs from the original scrapped album - many of which were issued as b-sides - that could have taken the places of these, perhaps the most feted of them being Young & Lovely which turned up on one of the Chemical World CD singles. But that pretty much sums up 'Modern Life...' - most of it is brilliant, much of it is gloomy, and some of it even resigned, but there remains a sense of "what if..." How's that for a metaphor for real life? For Tomorrow is second, btw. Great post about what is not only my favourite Blur album but also one of my favourite albums by anyone, ever! 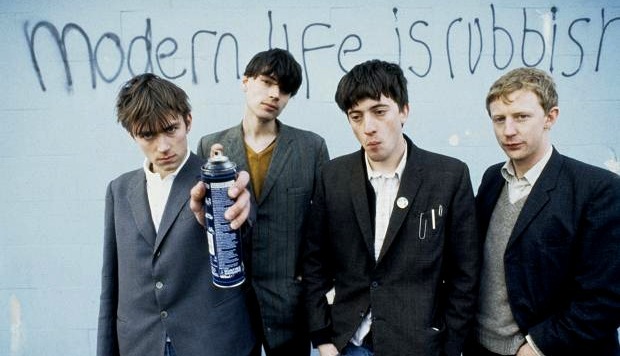 I didn't stick with Blur for the long haul, but this one and Parklife were fantastic. I think I can speak for everyone when I say let's have a post on that "lost album." Cracking album. Equally cracking post.